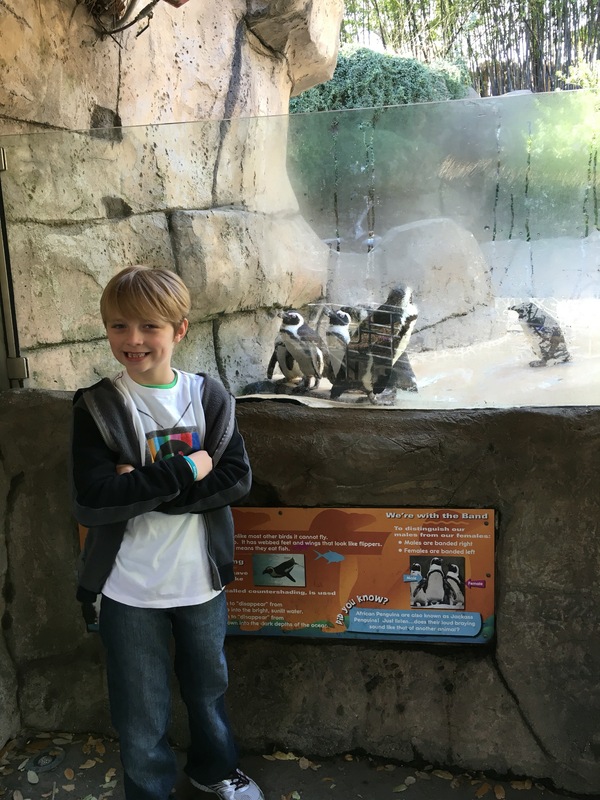 Dallas Zoo is doing their $5 penguin days during the month of January thru February. 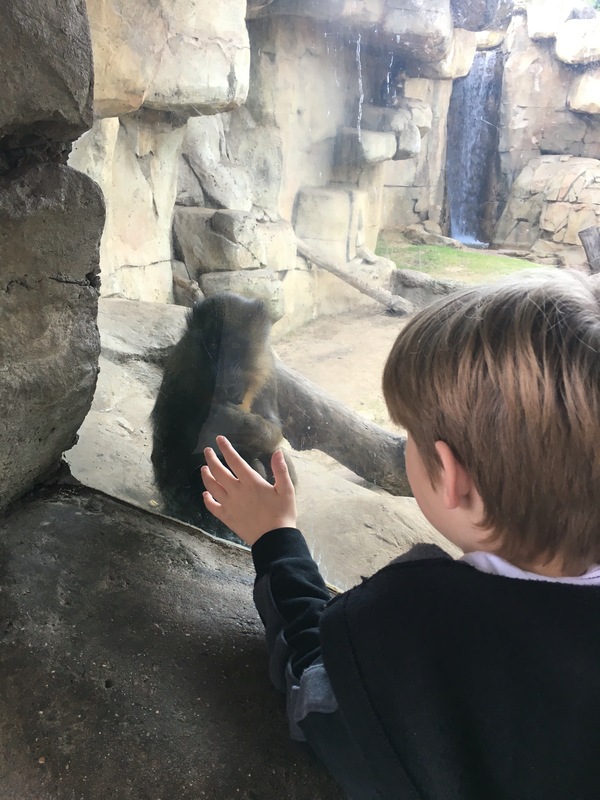 I decided since we were going to have one nice day this week, to take advantage of the lower price and take P to the zoo! We decided to ride the Dart instead of sitting in Dallas traffic! P loves the Dart because he is allowed to stand while the Dart is moving. 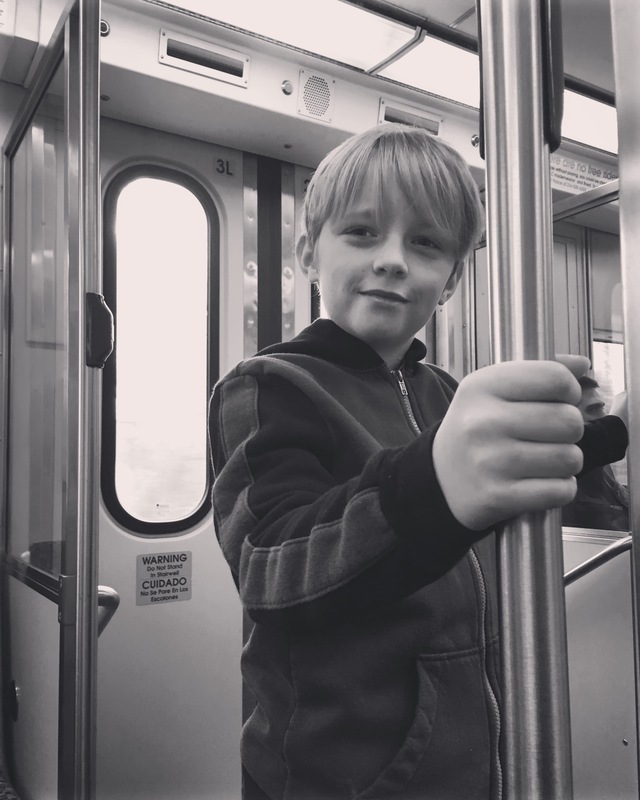 I would totally ride the Dart more if it came closer to our house! I hate sitting in traffic, so riding the Dart is perfect! Plus, it drops you right off at the entrance to the Dallas Zoo! When we first got there P just had to save an animal! 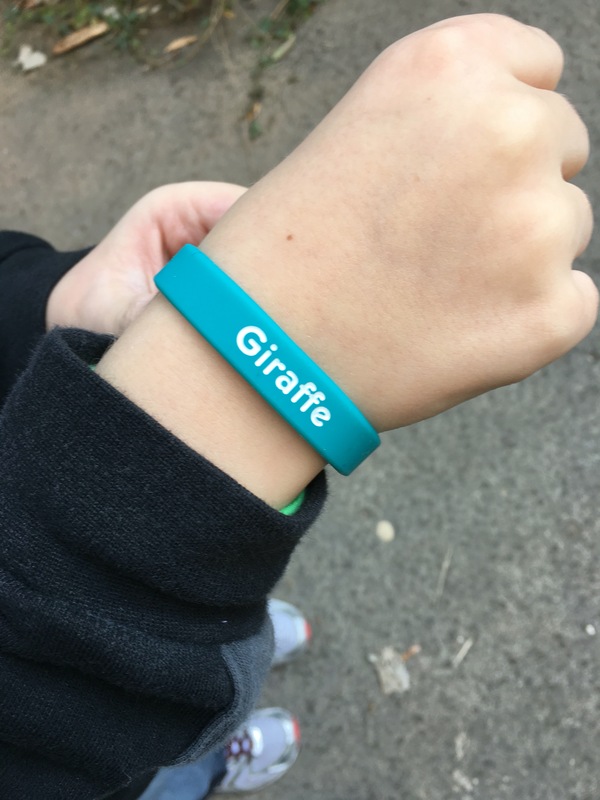 You donate $2 and get to pick a animal and then you get a bracelet. He, of course, had to save the giraffes! They are his favorite! Our first stop was the oh so cute penguins! One of his favorite areas is the giraffes! 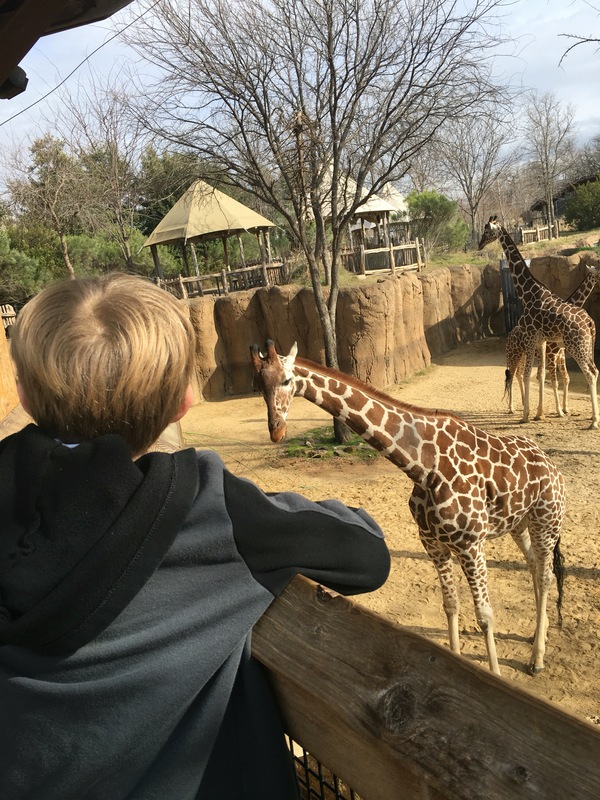 The Dallas Zoo has a great area to feed the giraffes. They will come right up to you and eat the food. You can buy food for a few dollars. On our way out of the safari area we stopped by the monkeys! This little toddler monkey was so cute! He was swinging all around and playing. Then he came over and sat in the window and snacked on some fruit! 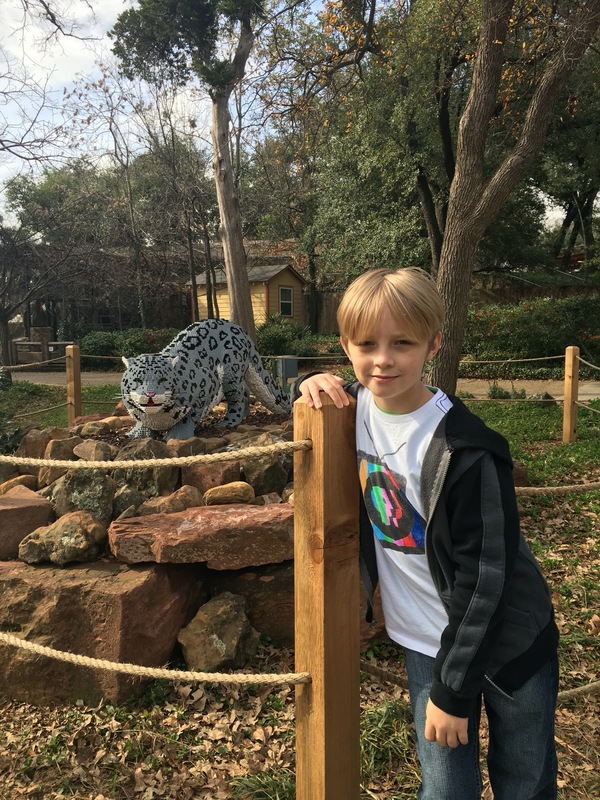 Right now the Dallas Zoo is hosting a Lego Sculptures exhibit. They have some of the coolest ones! 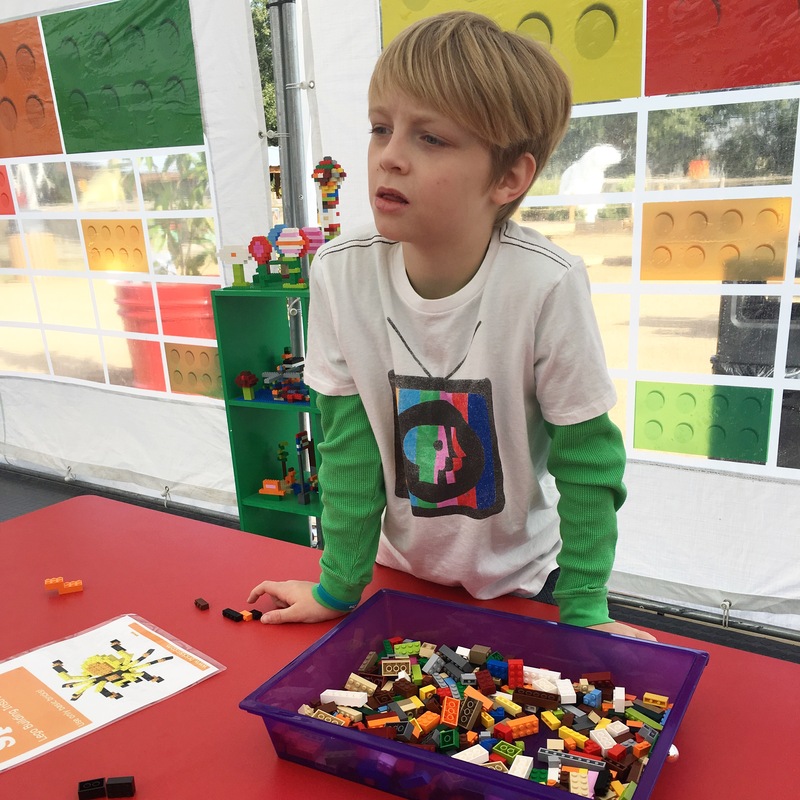 If your child loves Legos, the way mine does, I would check it out! They even have an area just for children to build with Legos! 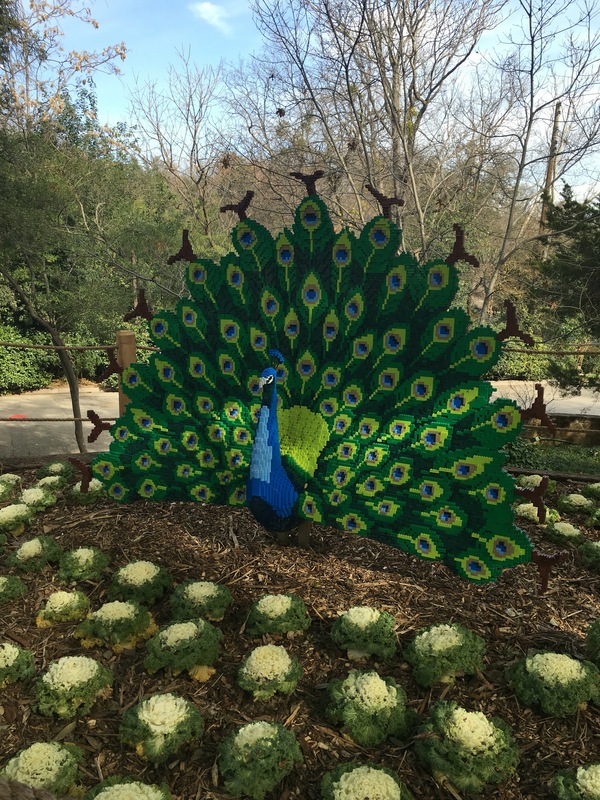 This peacock completely made out of Legos! We then went over to the reptile building. Ya know, the snakes, crocodiles and lizards! This one is one we always check out! 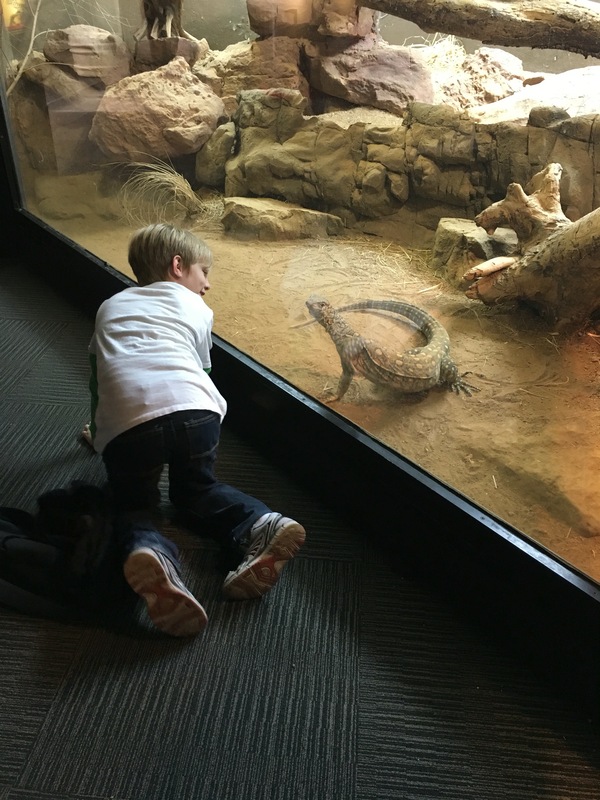 I have a picture of P and the big lizard like this every time we go! We then hopped over the the outback area! 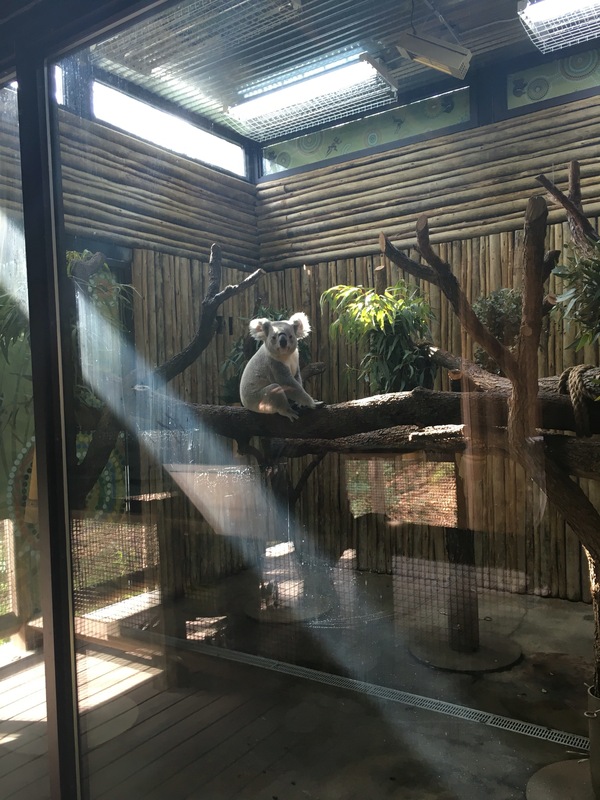 We checked out some Emu’s, kangaroos and the oh so adorable Koala bears!! Then we went to the one area P really wanted to go! The birds! You can go inside an enclosed area and the birds fly around. If you pay $1 you can get food on a stick and the birds fly and land right on you! 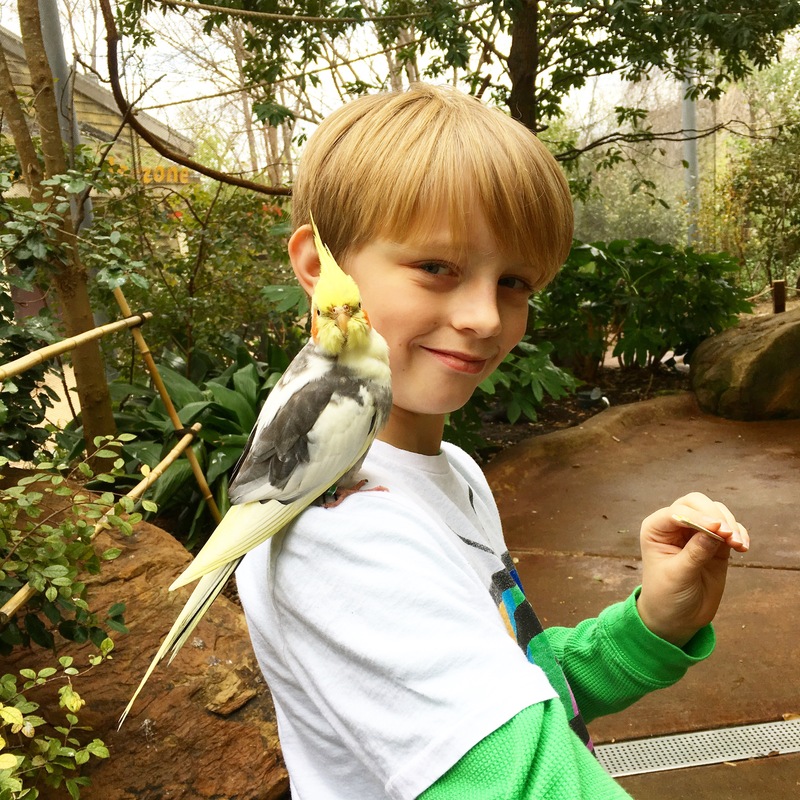 P loves the birds! This one walked all over him. I even had a little black bird land on me and try very hard to get into the pocket of my hoodie. They are cute little birds! The birds are over in the children’s area. This area also has a playground and other animals you can pet! After we were done at the Dallas Zoo, we got back on the Dart and headed to Downtown Dallas. 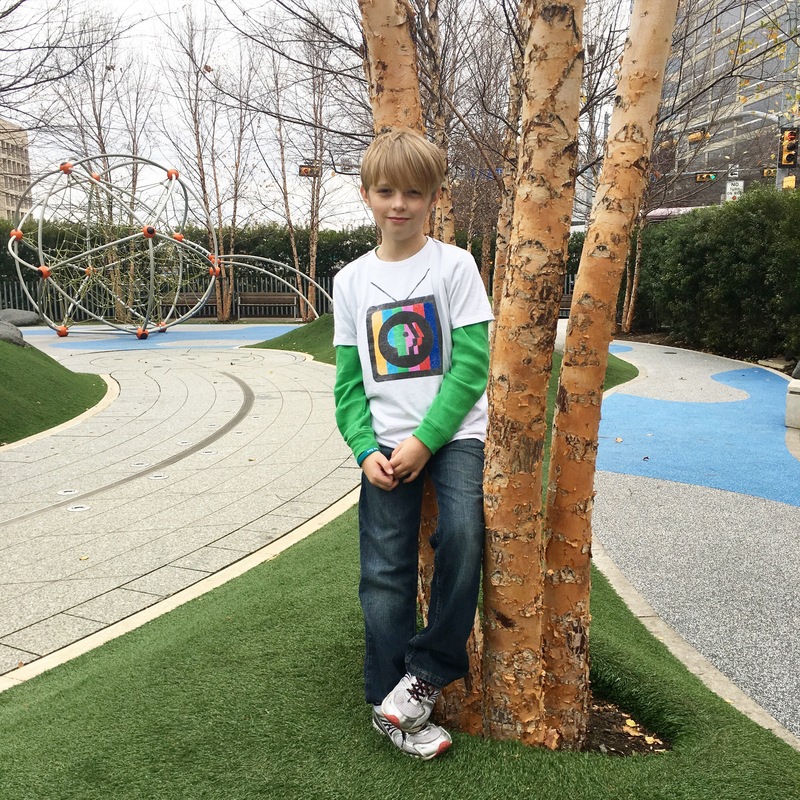 From there we walked a few blocks to Klyde Warren Park. 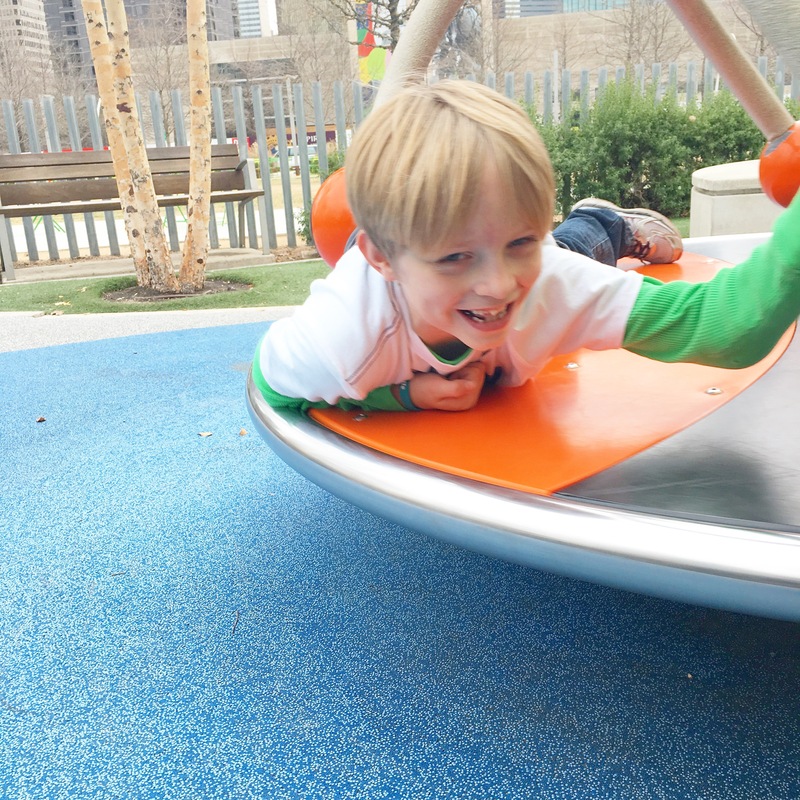 Klyde Warren Park has a playground, food trucks, a book stand where you can borrow books while you’re at the park! During the warmer weather they even have fountains the children love to play in! 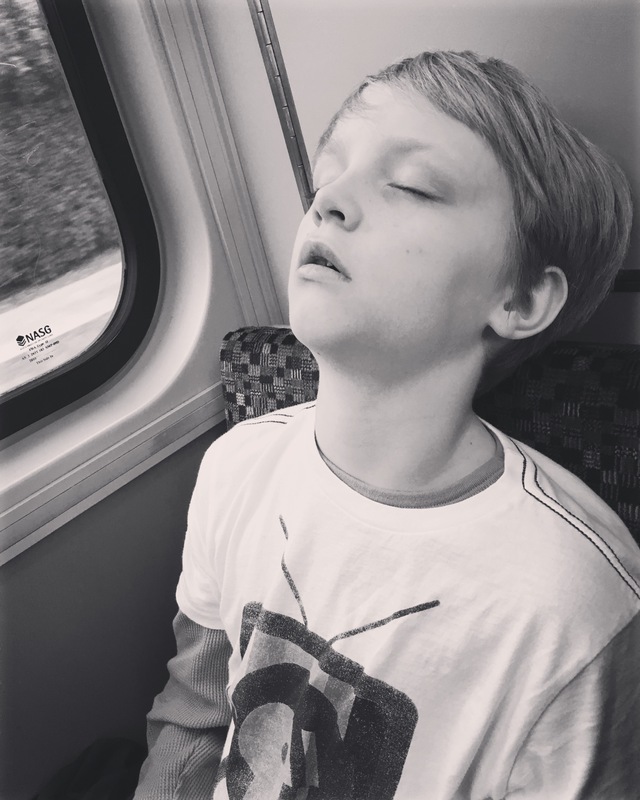 After an hour at the park we walked back to the Dart and hopped back on! We had bought a day pass which was great for us to use for the day! 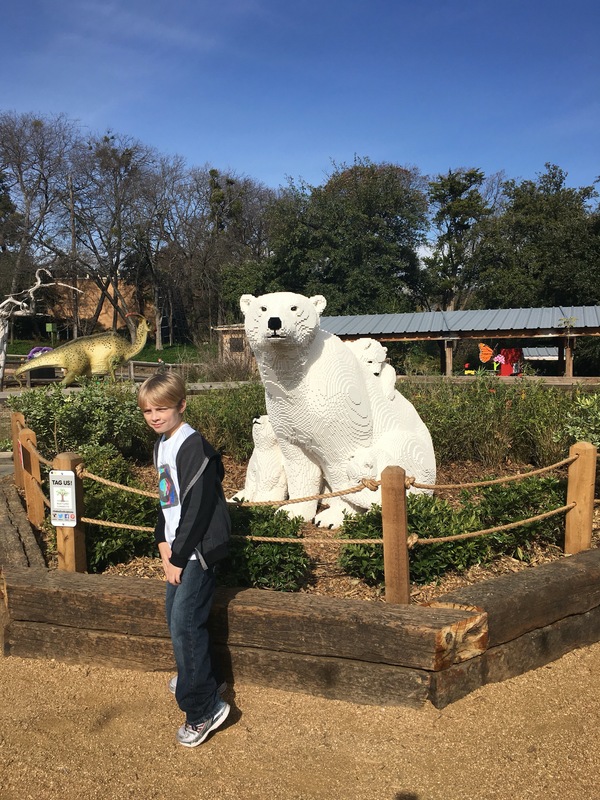 If you’re in the Dallas area I would suggest taking the children to see the Lego sculpture exhibit at the Dallas Zoo!